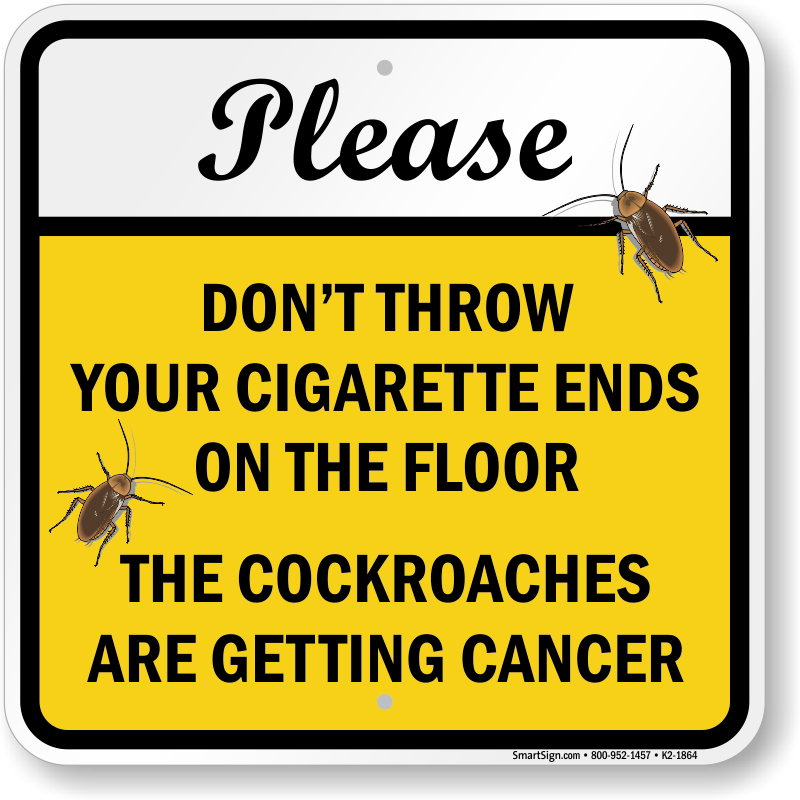 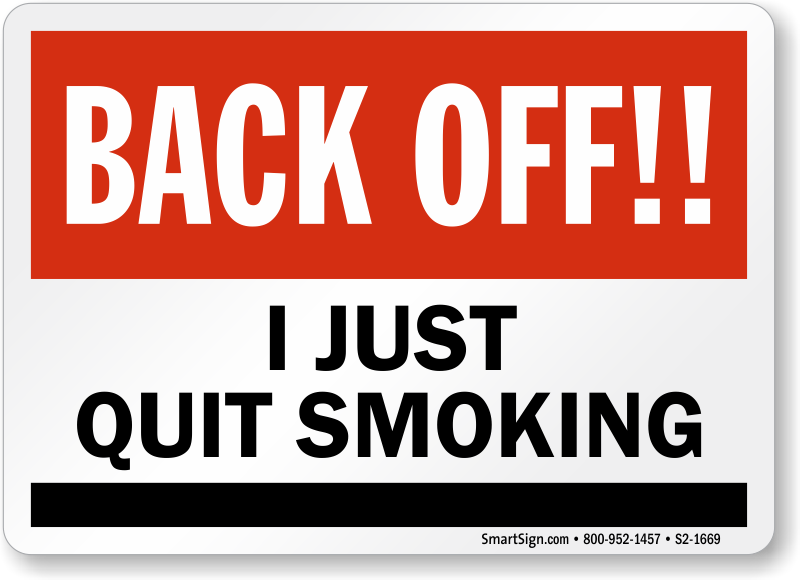 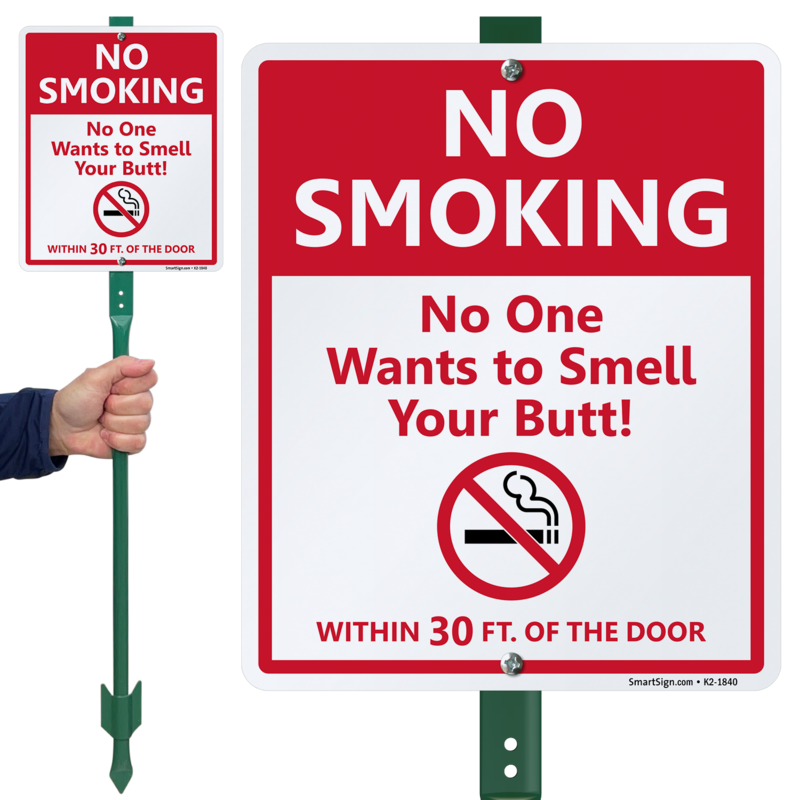 Reinforce your no smoking policy with a sense of humor. 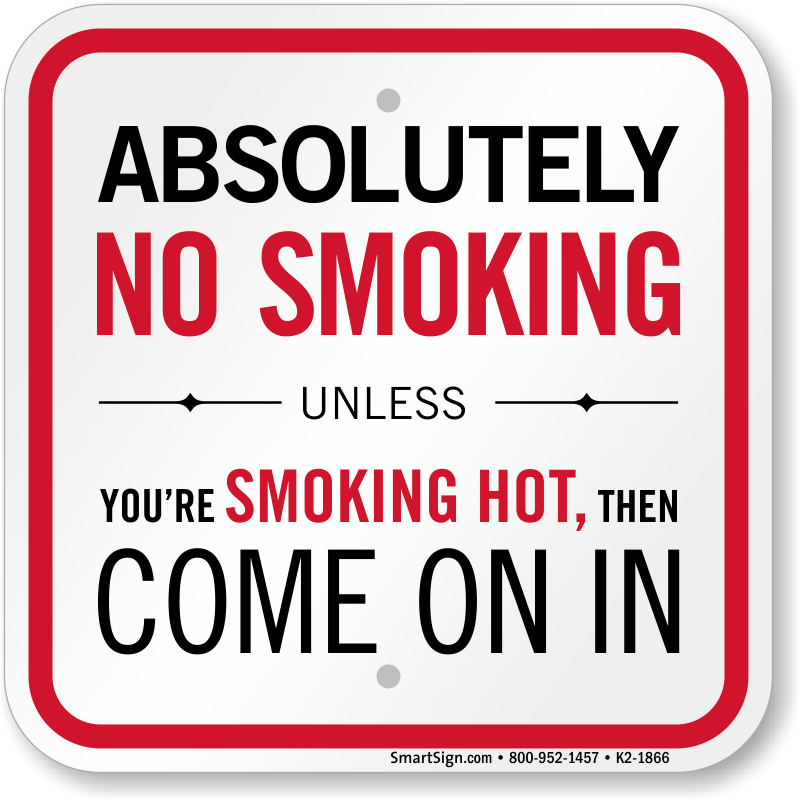 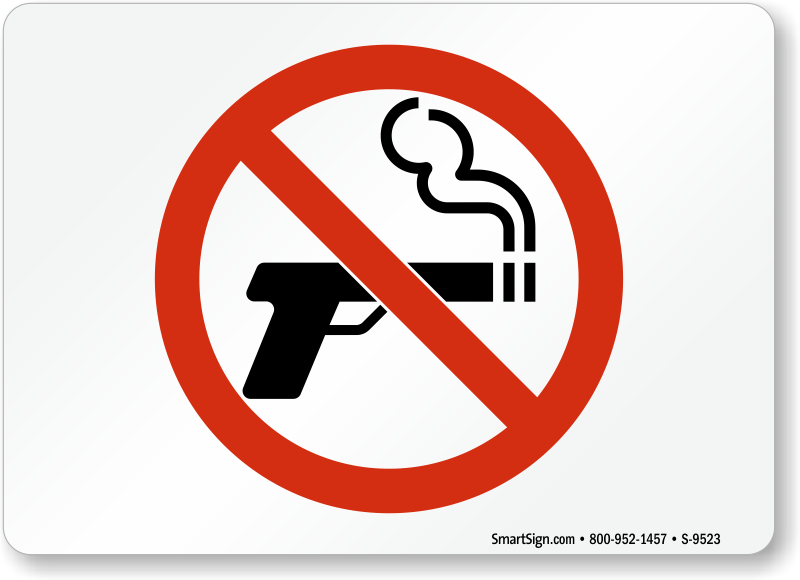 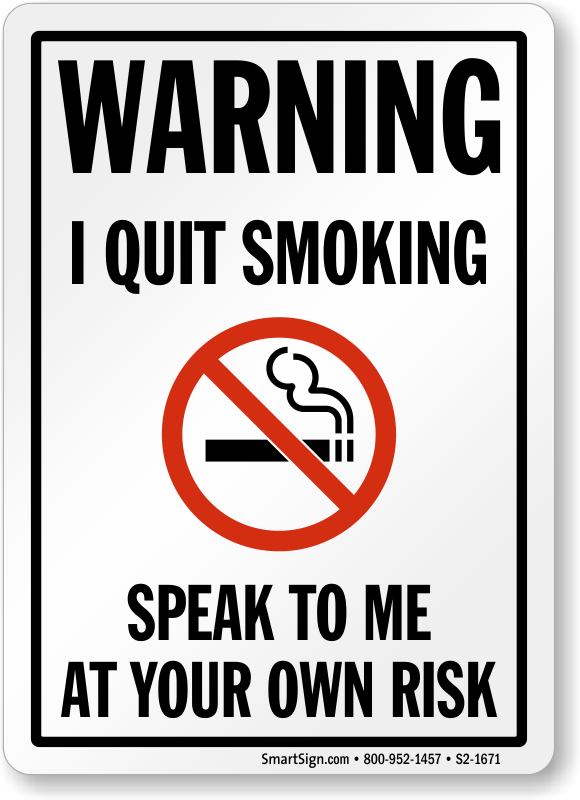 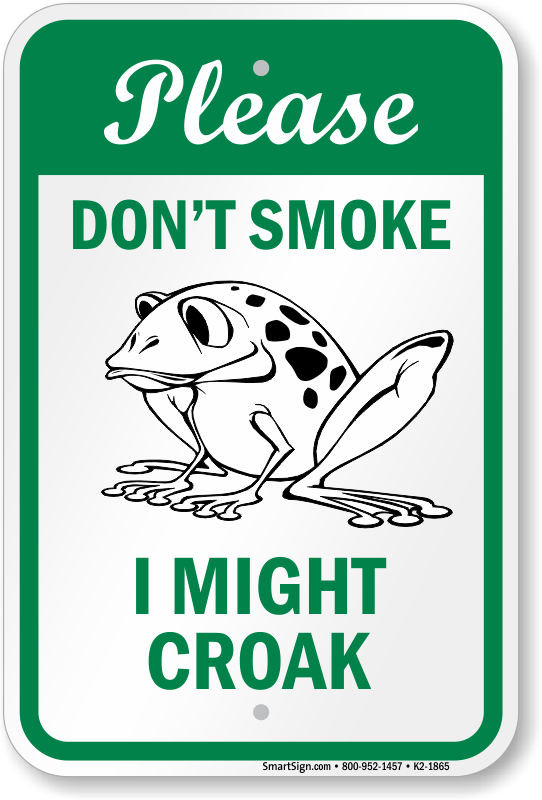 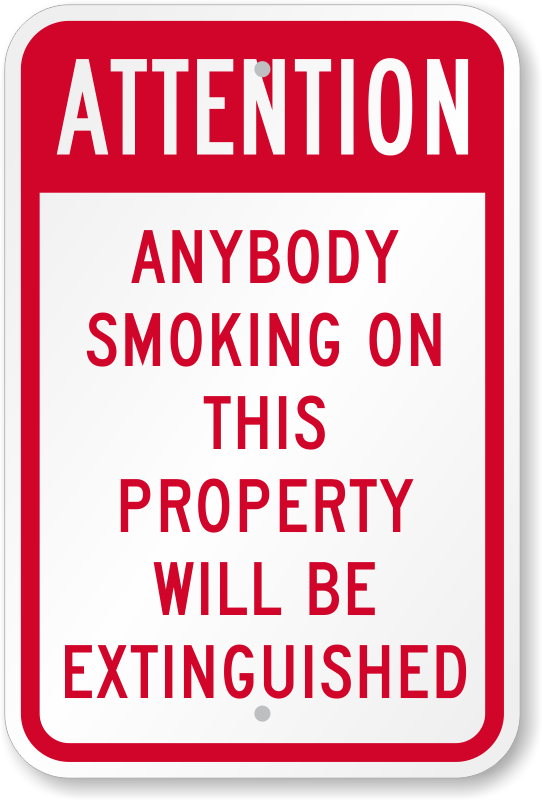 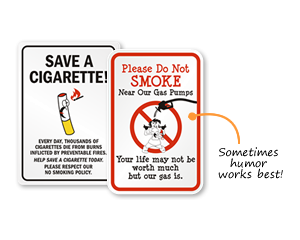 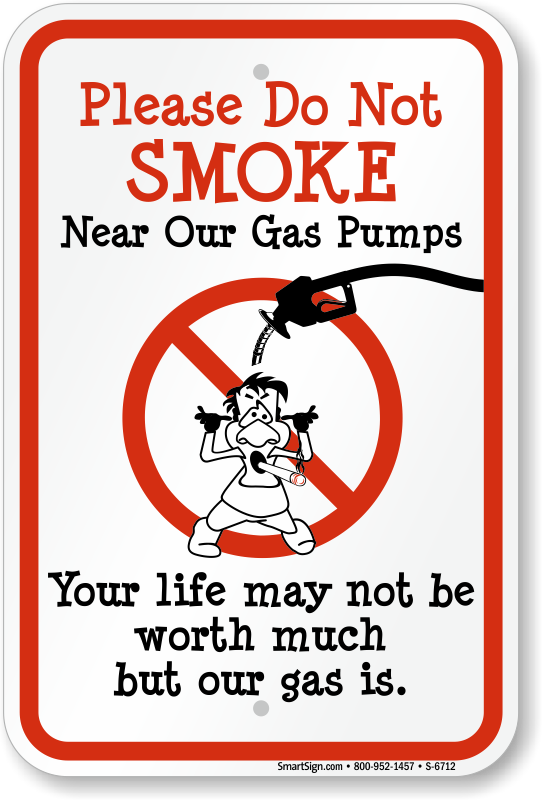 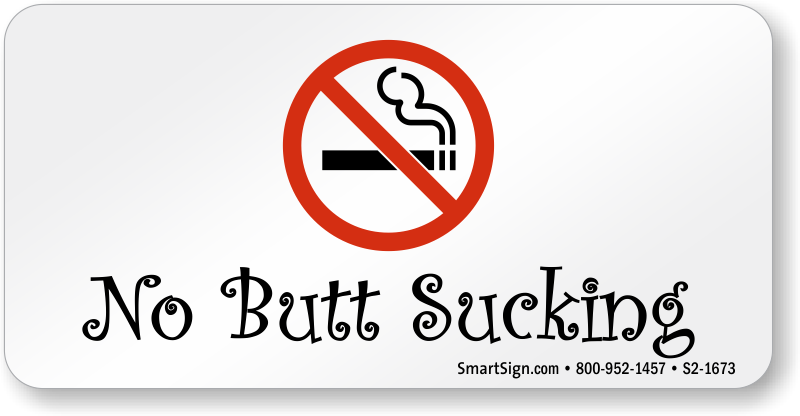 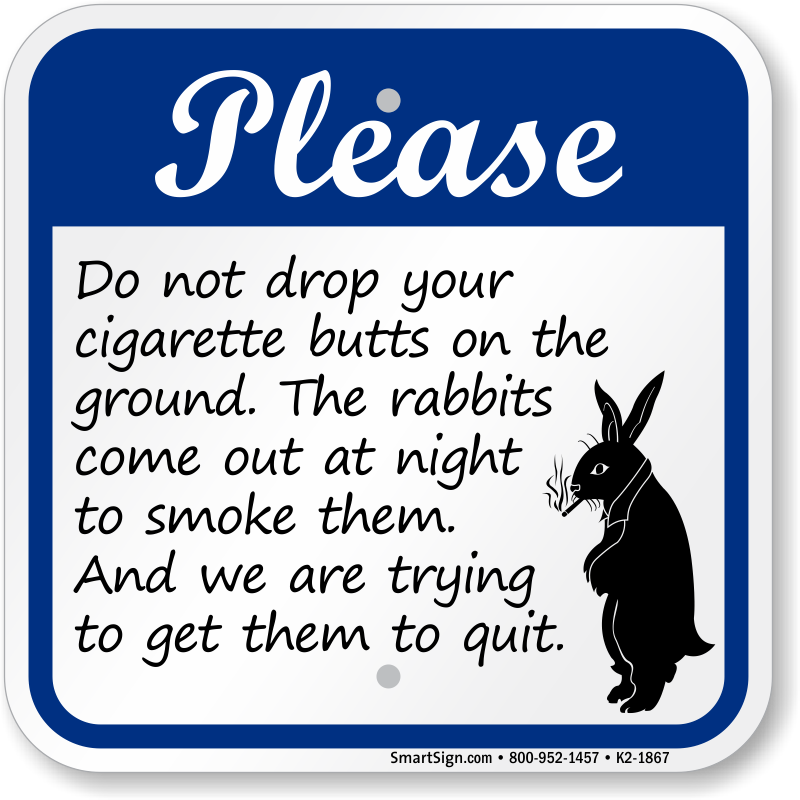 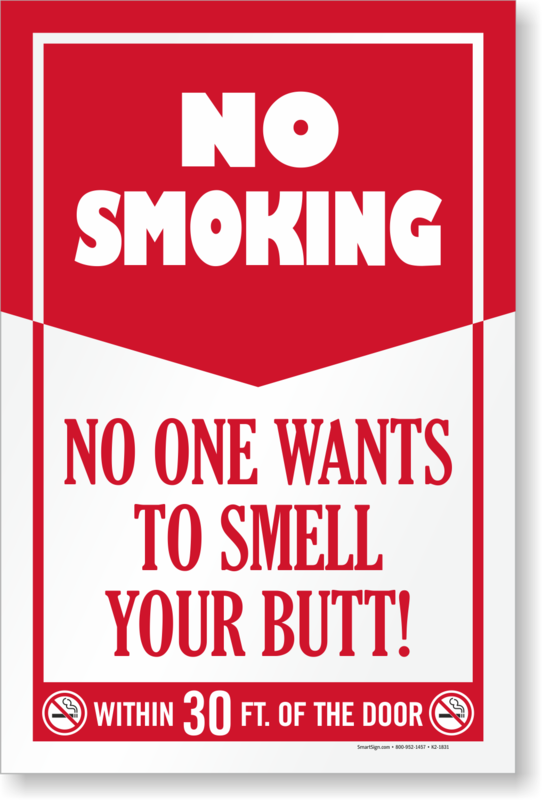 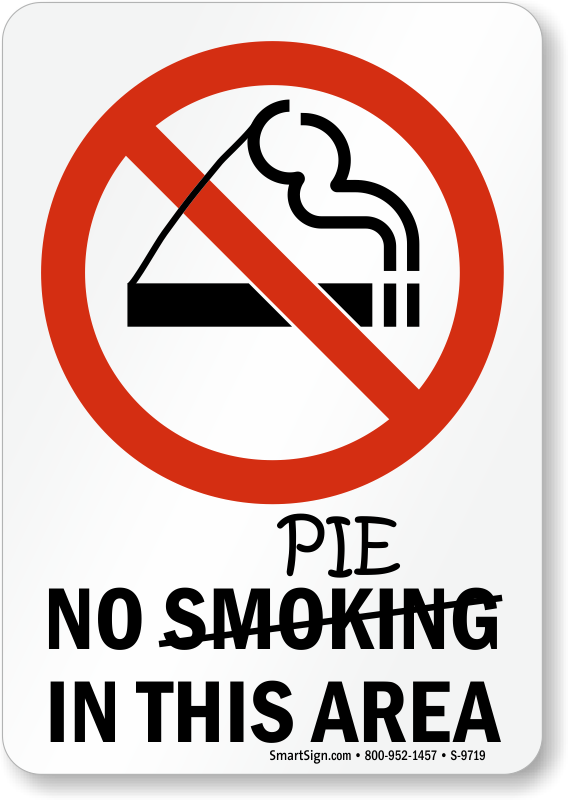 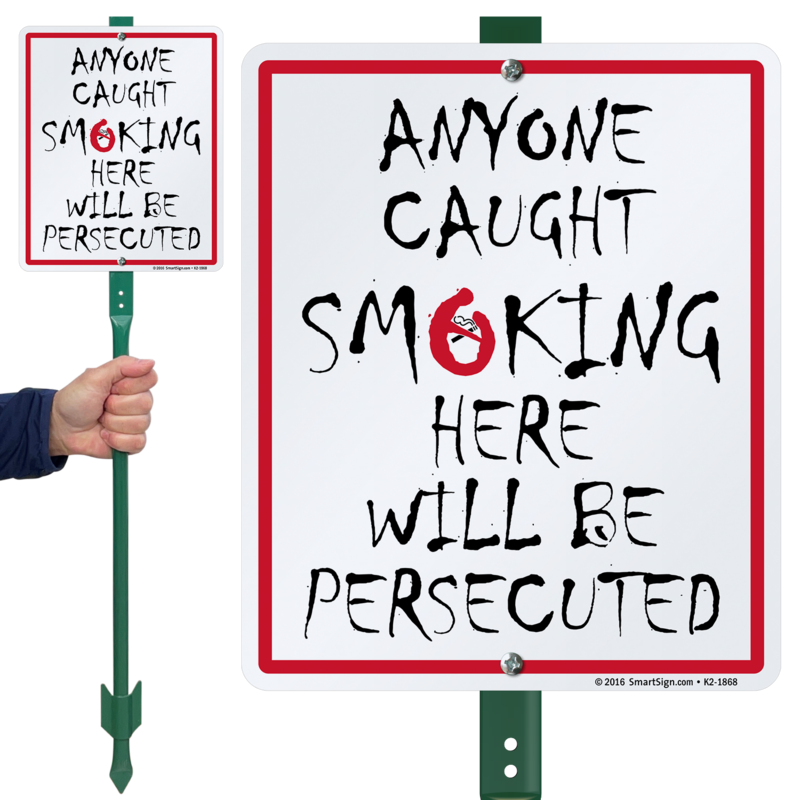 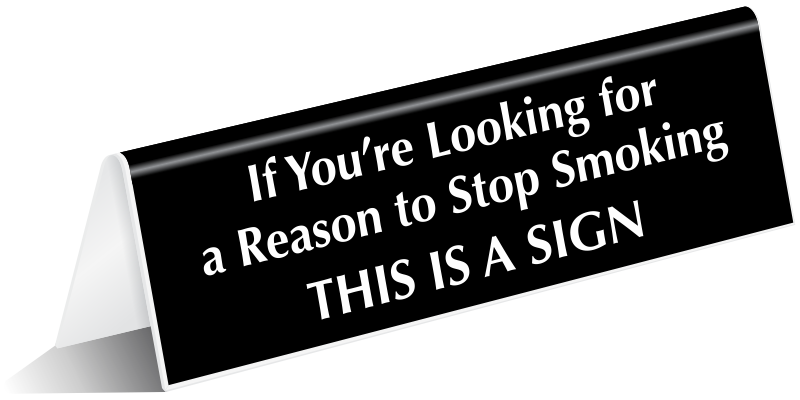 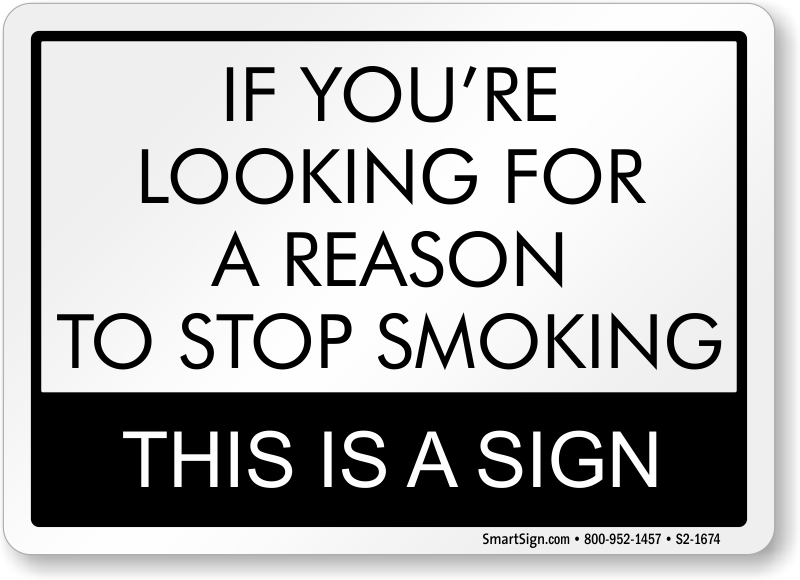 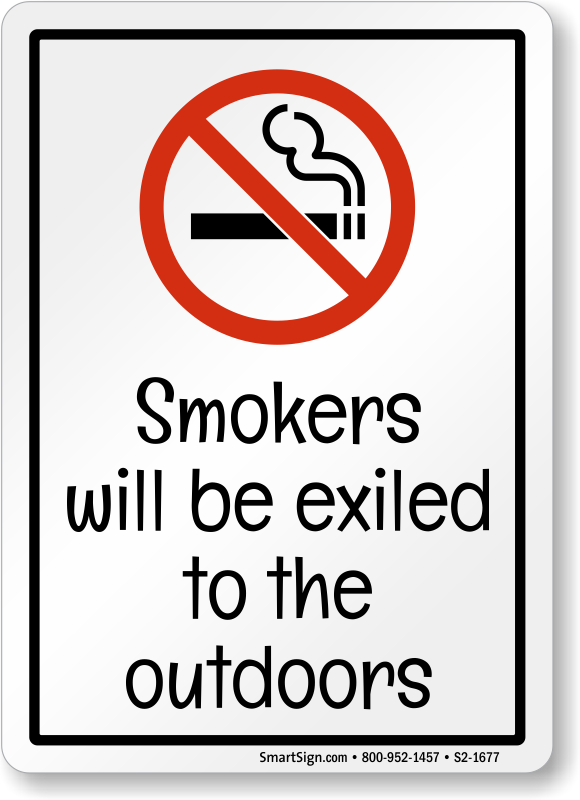 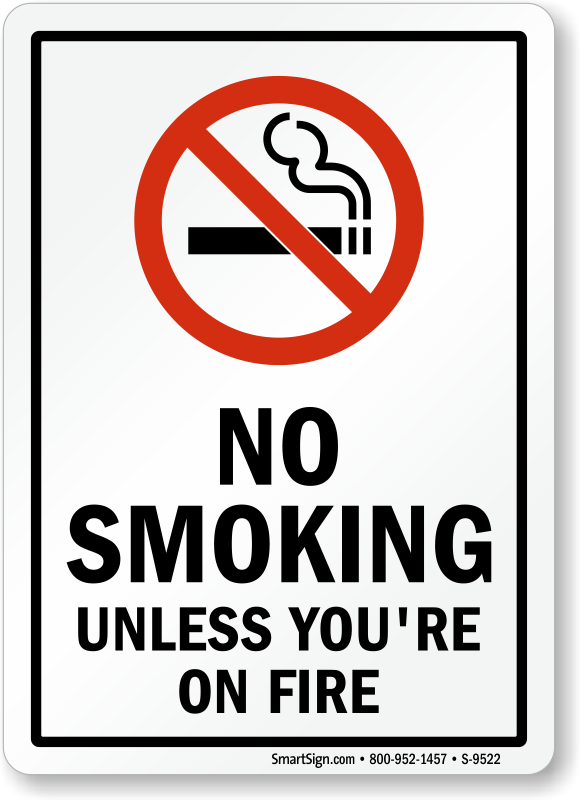 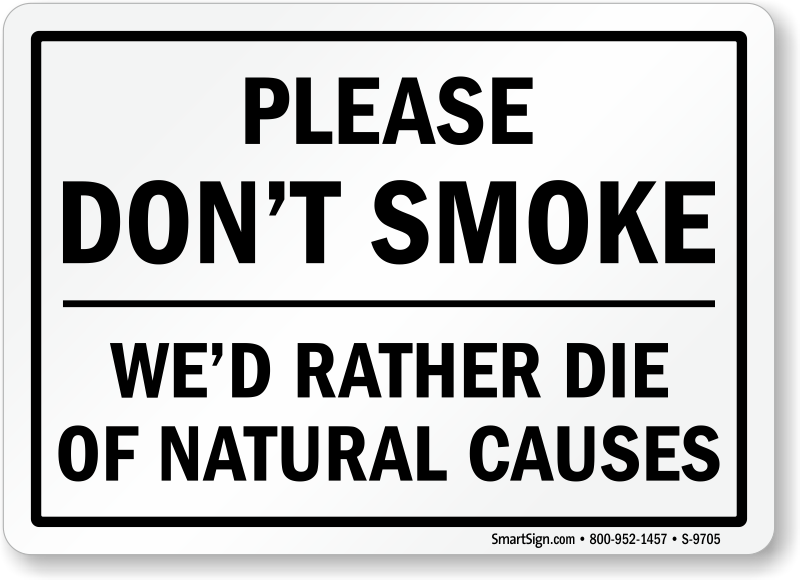 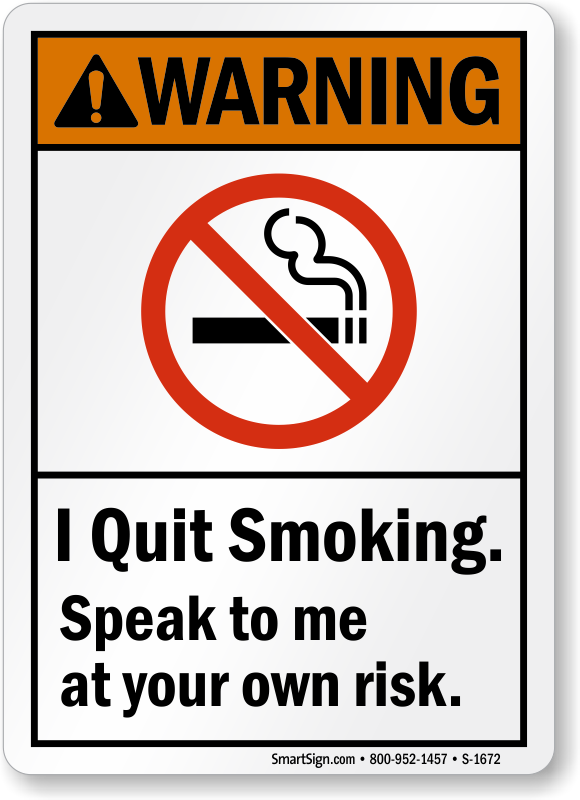 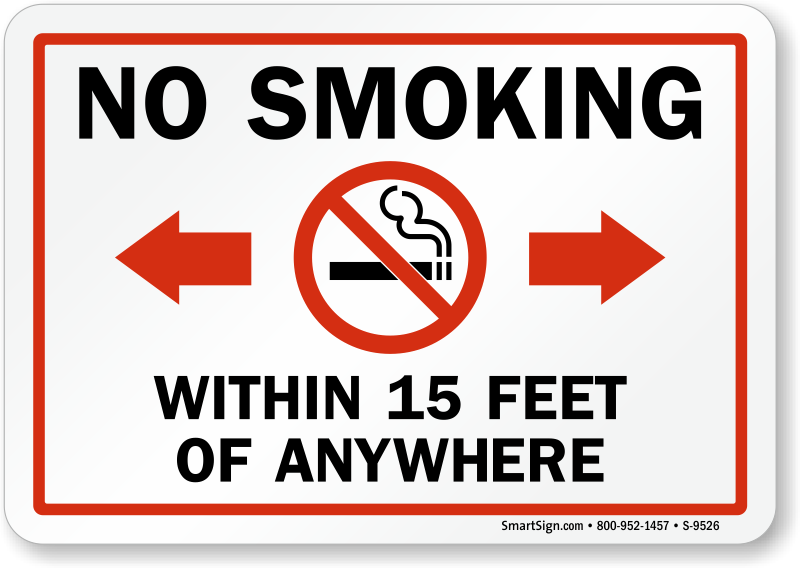 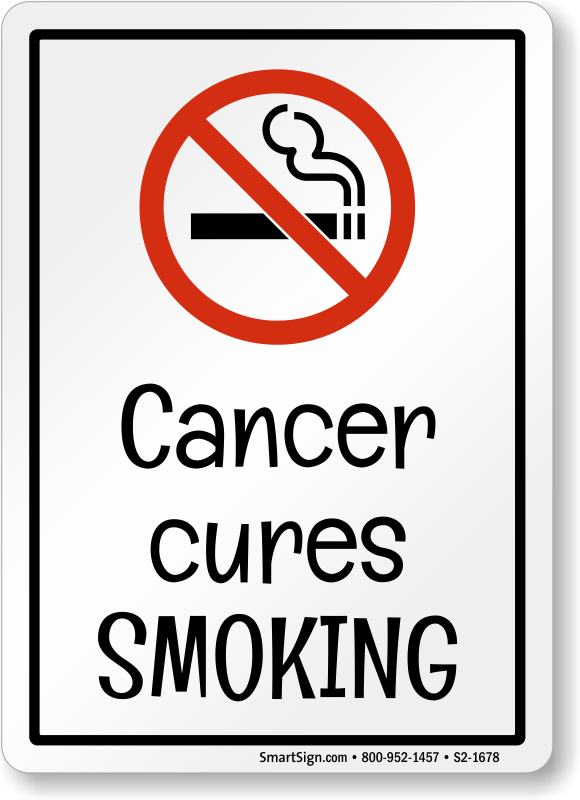 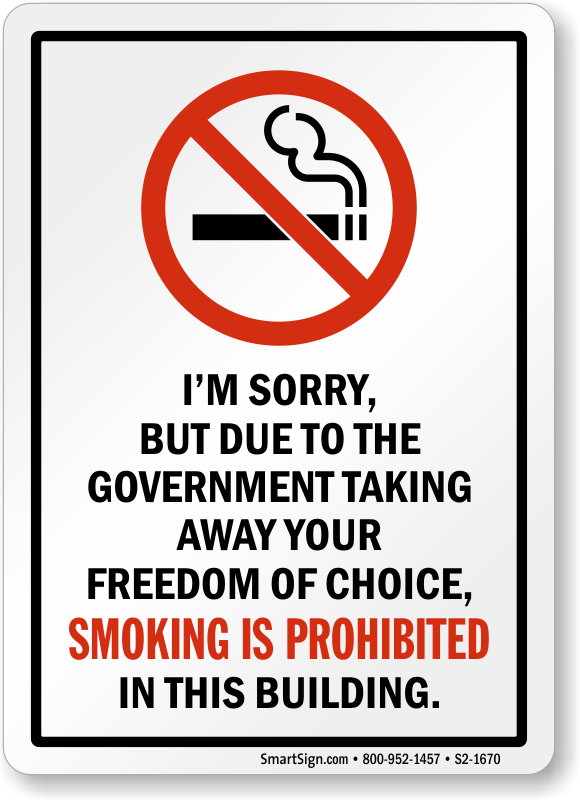 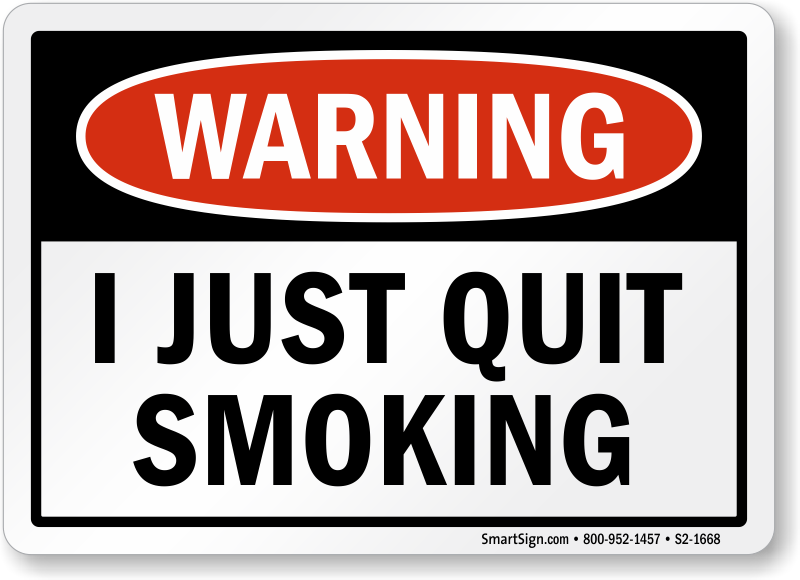 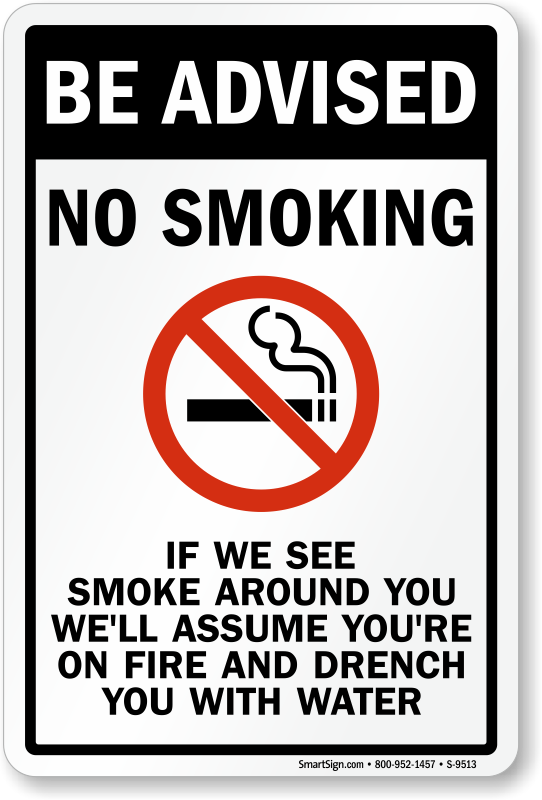 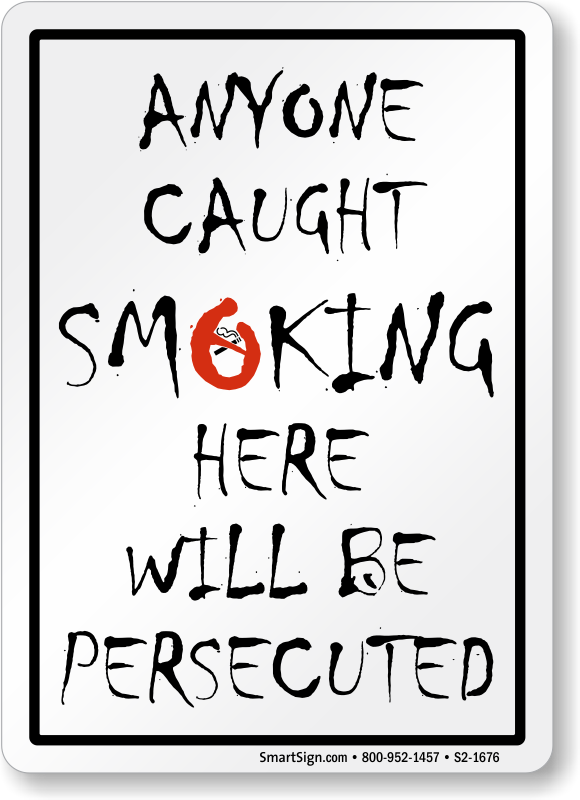 Our Funny No Smoking Signs are light-hearted yet impactful. 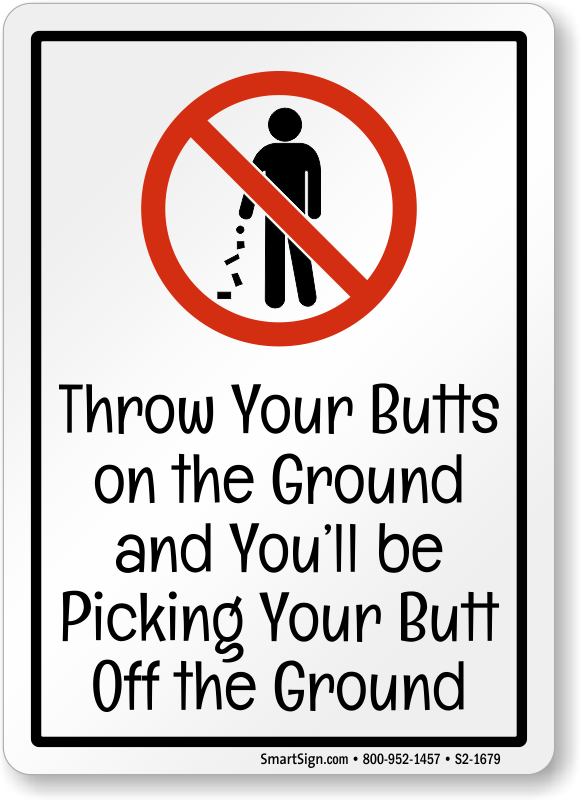 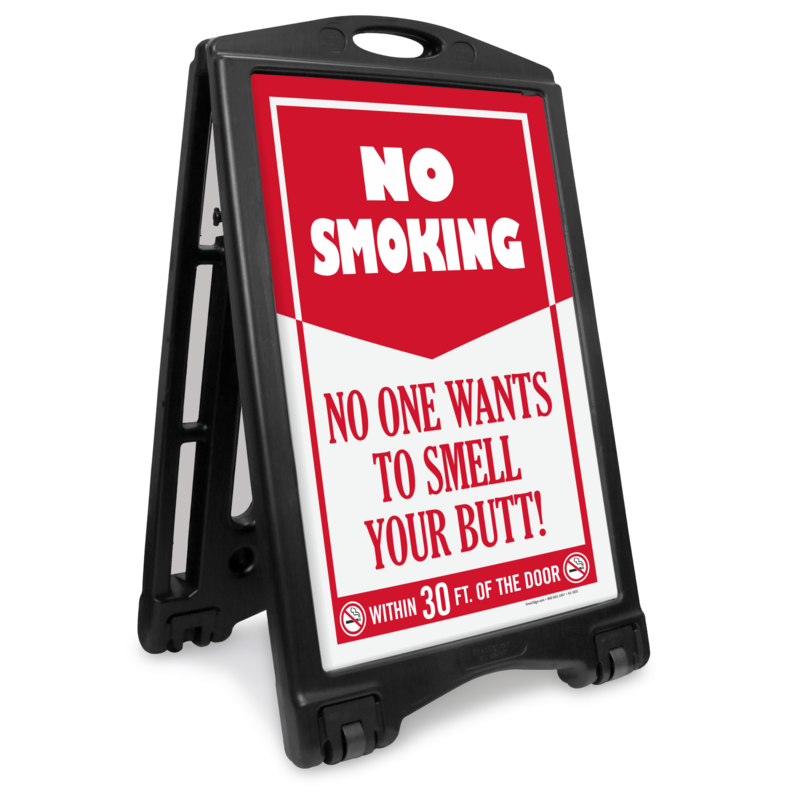 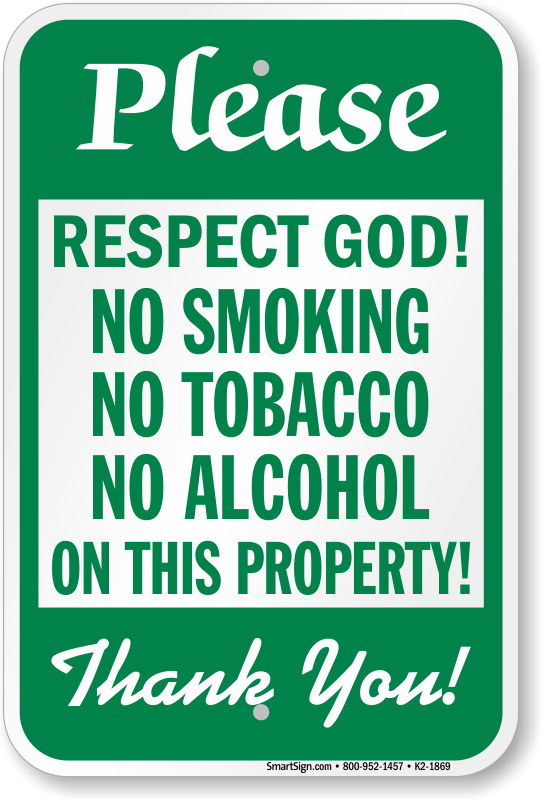 Great for workplaces, restaurants, stores, malls, etc, these signs cleverly communicate a strong message while making patrons and visitors laugh. 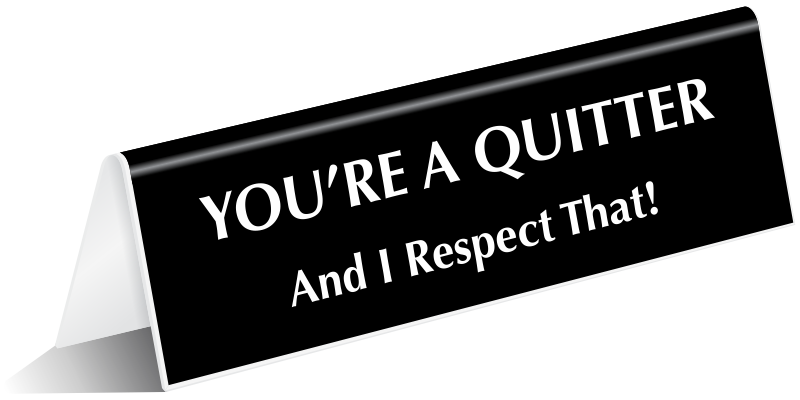 • Questions? 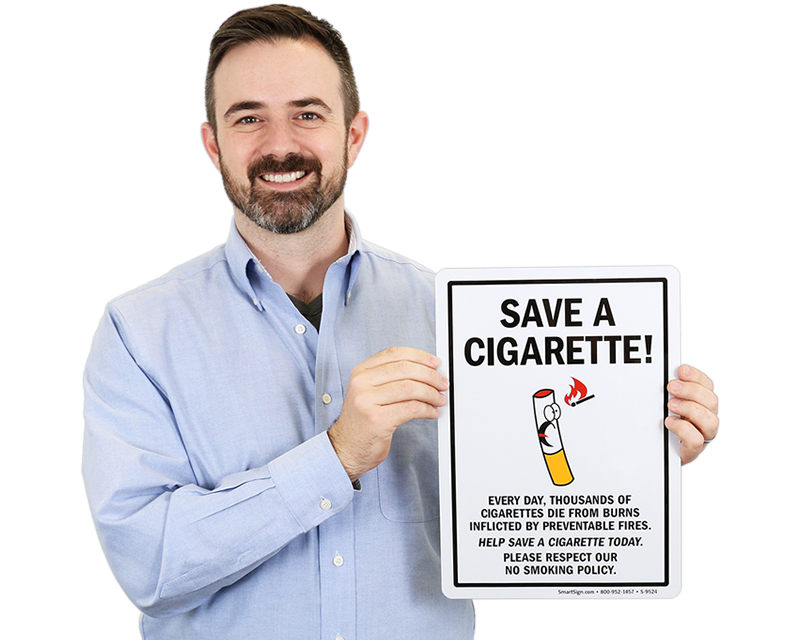 Need help choosing? 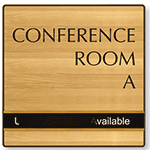 Call our live support today. 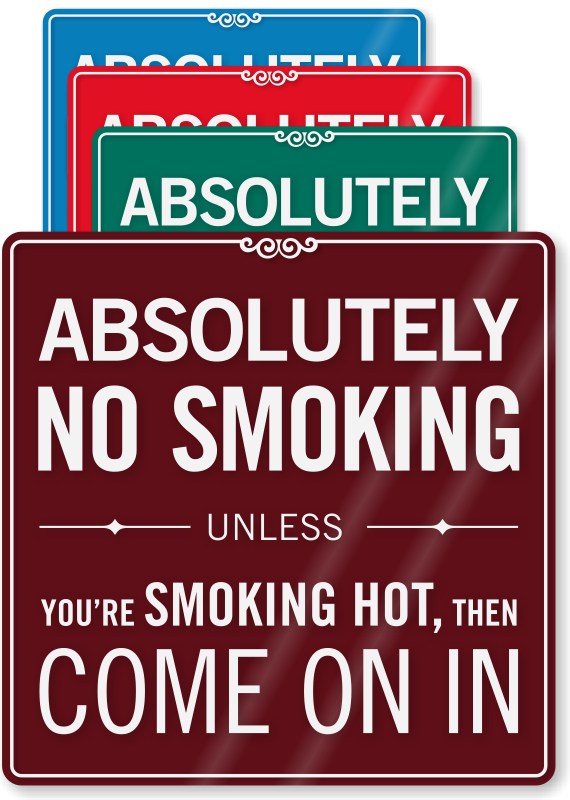 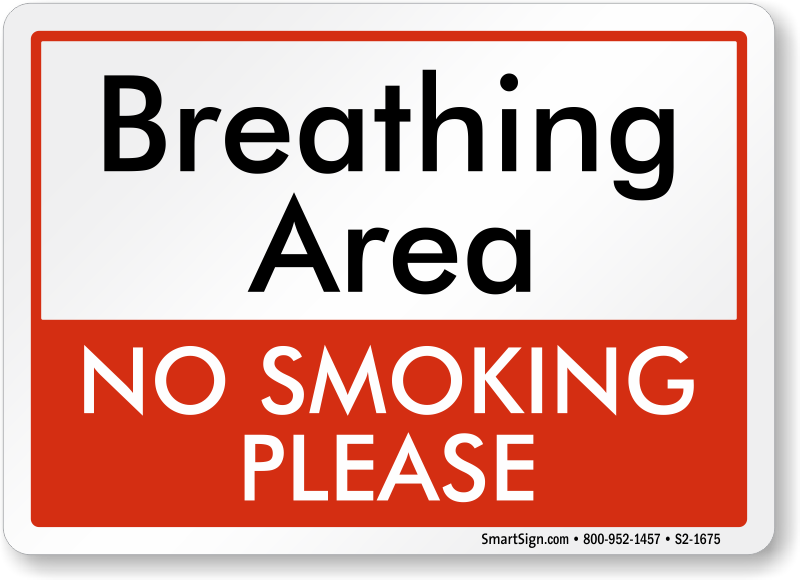 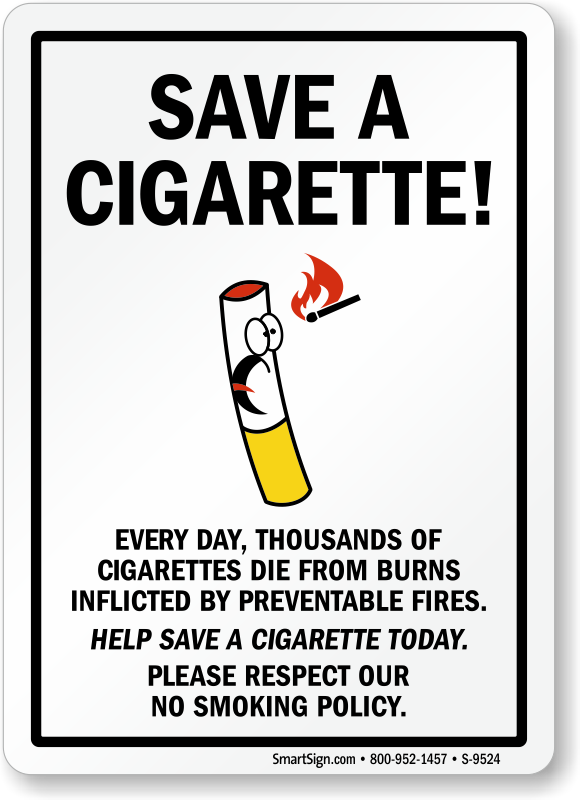 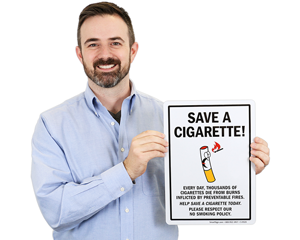 With our Thank You For Not Smoking Signs send your message clearly while being courteous and respectful simultaneously. 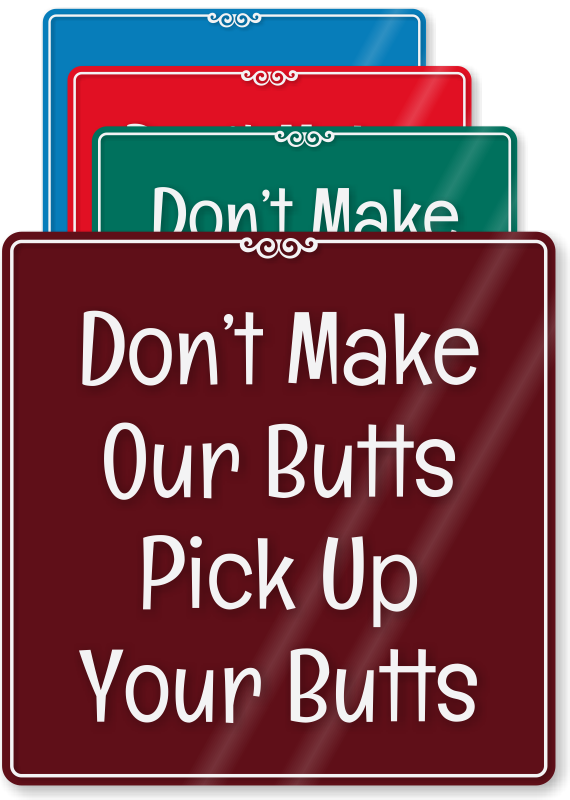 Great sign for use in our outdoor shopping area! 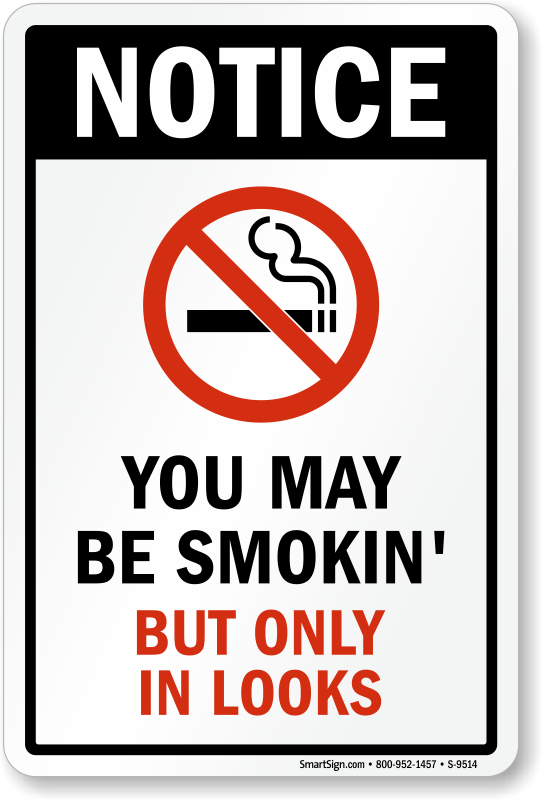 Clever way of saying 'no smoking' without offending. 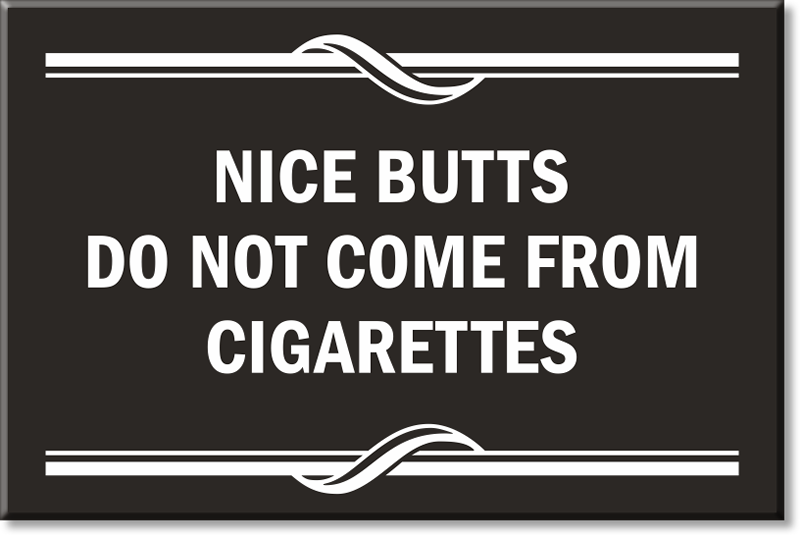 All the employees love it too!